Live baits don’t last long once they’re sent down to the depths. Ensure your tackle is up to the task. 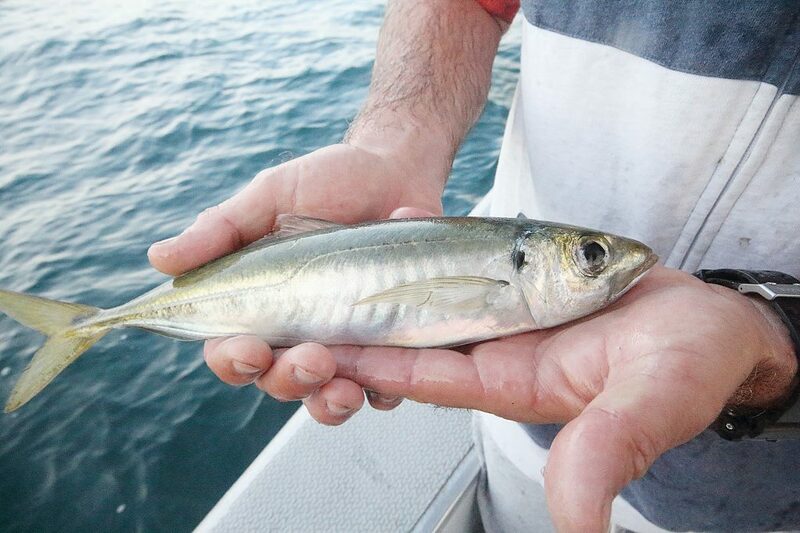 It was back in 2009 when the first reports of kingfish being caught in Port Phillip Bay’s Rip began to surface. This was after a solid 20 year drought – they had all but disappeared. Why they left is anyone’s guess. 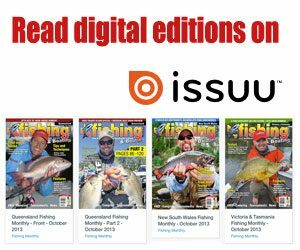 Was it that the current dispersion or the bait they were chasing diminished or was it over fishing by the commercial sector and rec anglers? 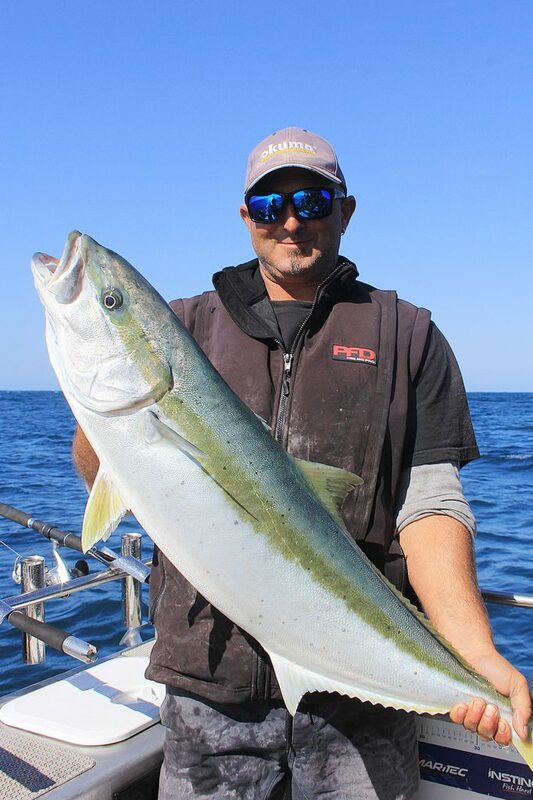 The answer is still unclear, however today the kingfish fishery in the Rip is as healthy as ever and has been growing stronger with passing each season. 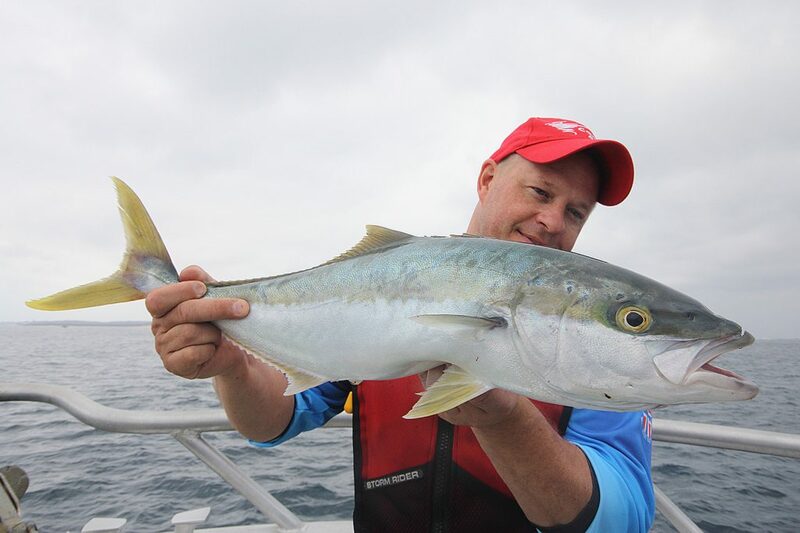 Catches of kingfish over 15kg may raise a few eyebrows, but it’s the excitement of just hooking one that sees hundreds of anglers all trying their luck. 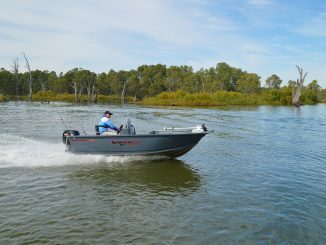 The Rip is no easy place to fish; in fact it is Victoria’s most treacherous waterway. Hundreds of boats went down here due to the uncertainty of the water back in the day. Understanding how the Rip’s currents operate is the first hurdle before getting one onto your hook. Without prior knowledge, things can go from bad to worse in the blink of an eye, so it always pays to fish with someone experienced before you do something you might regret. 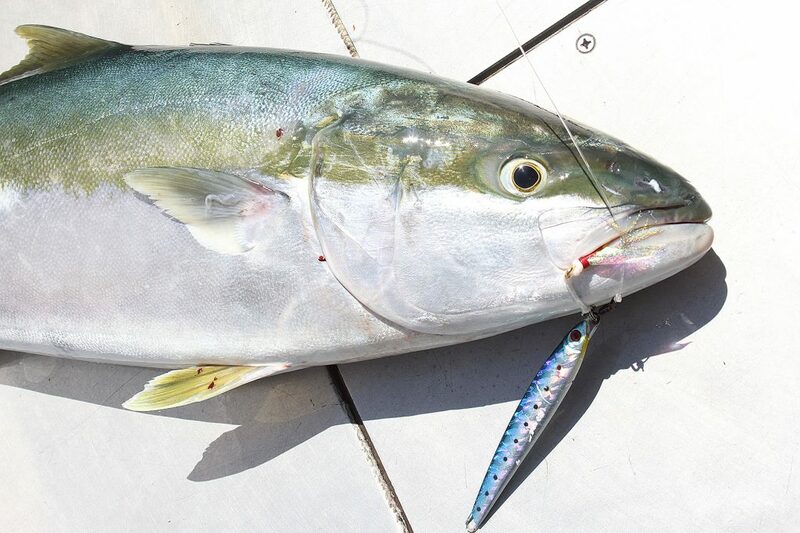 Due to the fast current, deep water and reef, rigging for kings in the Rip requires extremely tough tackle. 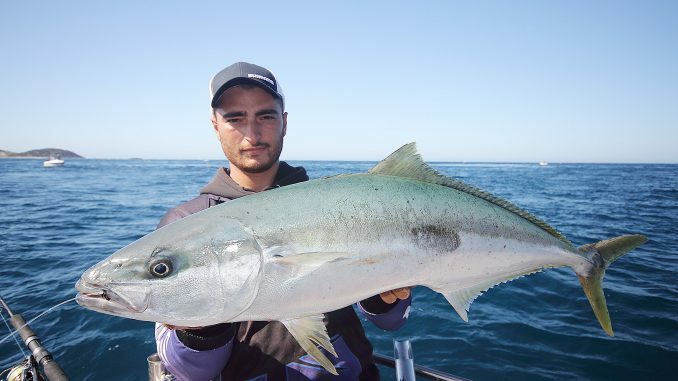 Being one of the more brutal species of fish to battle, kingfish are notorious for finding every weakness in your tackle, leaving you with one lure less in your tackle kit and sometimes without your rod and reel. Couple their fighting ability with the current and the reef and you’re certainly in for one heck of a fight, which is why you need to be geared and ready from the get-go. In an ideal world, it would be good if you could suit up with a few Shimano Stella 18000 reels but at just over the $1,000 mark it can become an expensive setup. Dropping down in a few bearings and a little drag pressure, reels like Shimano’s Saragosa 18000 will certainly bring them to the top. Load it with 60-80lb braid to ensure you can turn their head in the split second they take the bait or jig. Also, choose a multi-coloured braid so you can put the jig or live bait right on their nose once you find them on the sounder. Most multi-coloured braids are coloured every 10m so you can count down the colours to know the depth where the fish are holding. Rods also need to be able to pack a punch and when fighting a fish boat-side, the more dead lift power you can have, the easier it will be to get them up. My setup is a 14000 Shimano Twin Power mounted to a Wilson Venom 350. This specific rod is a little more expensive than most but is very comfortable to jig and live bait with and provides enough lifting power to not wear the angler out during the fight. Taking a step down, Shimano’s T-Curve 200 or Revolution Offshore 200 will handle them with no problems and won’t break the budget when you’re setting up. Overhead reels are also just as effective, but you’d want to get something of quality with a moderate drag curve, such as a Trinadad 16 or 20, or if you just want to live bait and not use your outfit for jigging, a Shimano TLD 15 or 25 may be a more affordable option. 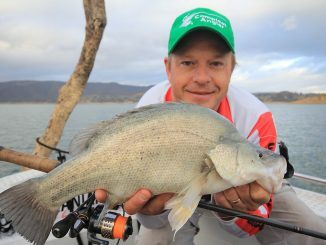 There are some monster kings in the Rip; landing them is a total challenge. When you land a big one, you certainly feel exhilarated. Kings hug the bottom and you need to get your jigs and live bait to them. 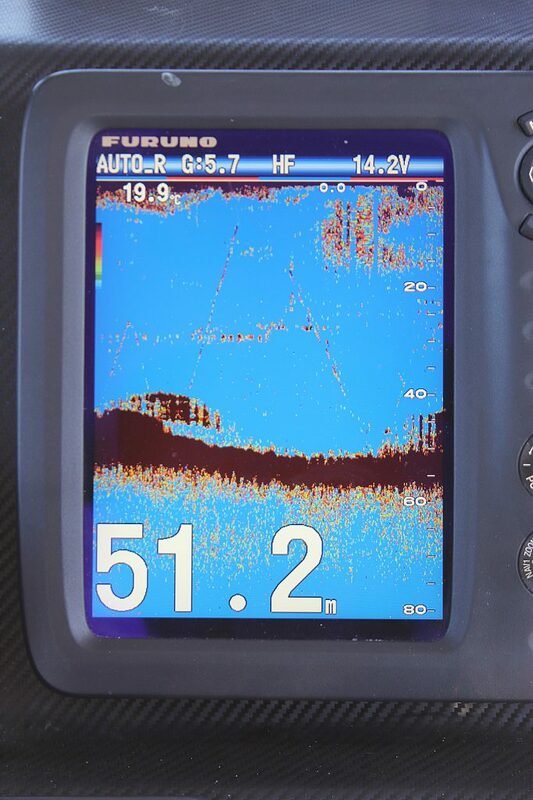 Check out the jigs and live bait showing up on the sounder, right in the strike zone. When the kings are on, the Rip can be very busy, so always be careful of where drifting. If you’re going to do it, then do it right with the right gear. Short stout jigs are the ideal choice. You don’t need to get too technical with the live bait rig. Just make sure you knots are strong. Not all the kings are big and brutal but they all put up a fair battle. Chris Cassar knows all too well the importance of using quality tackle and ensuring the rigging is 100%. Using assist hooks that are too long can cause foul ups and if a king attached the jig, you’ll miss a solid hook set. Using a jigging assist hook rigged onto the live bait hook is very effective in the hook-up process and maximises the life of the livie. Gathering as many live baits as possible is the key to a successful session. 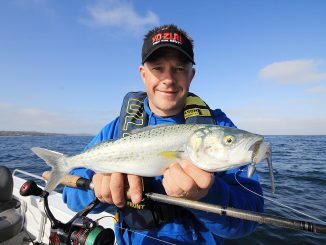 Yellowtail scad make some of the best live baits available. 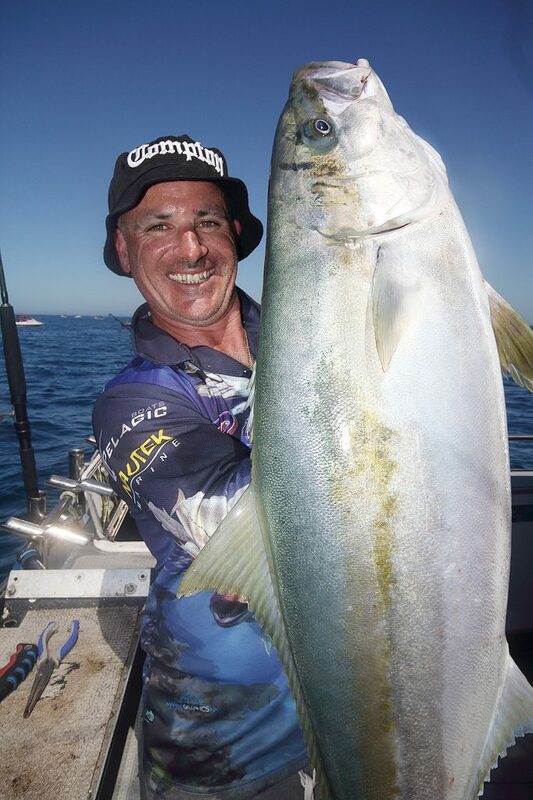 Matt Cini prides himself on targeting kingfish in the Rip. 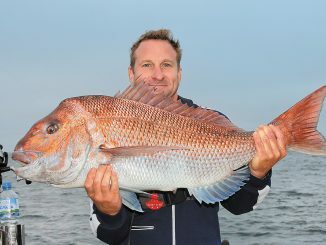 With the depth of the Rip and the strength of the current there are two main techniques used to catch kings. While I’ll get into the jigging side of it next, live baiting is the most effective, however you want to be doing both at the same time to create the commotion on the water that the fish have to come to investigate. 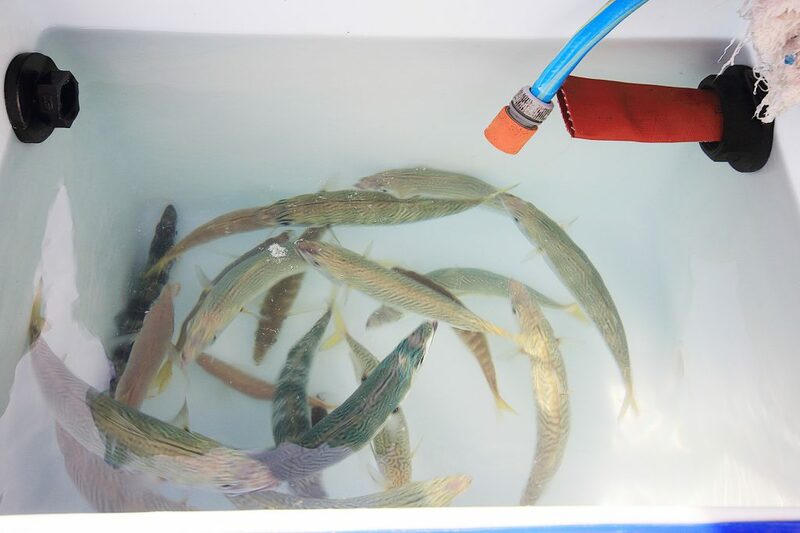 Live baiting may be simple in its method but gathering the bait is the most difficult part, despite the bay having a very healthy population of calamari, yellowtail scad and slimy mackerel. 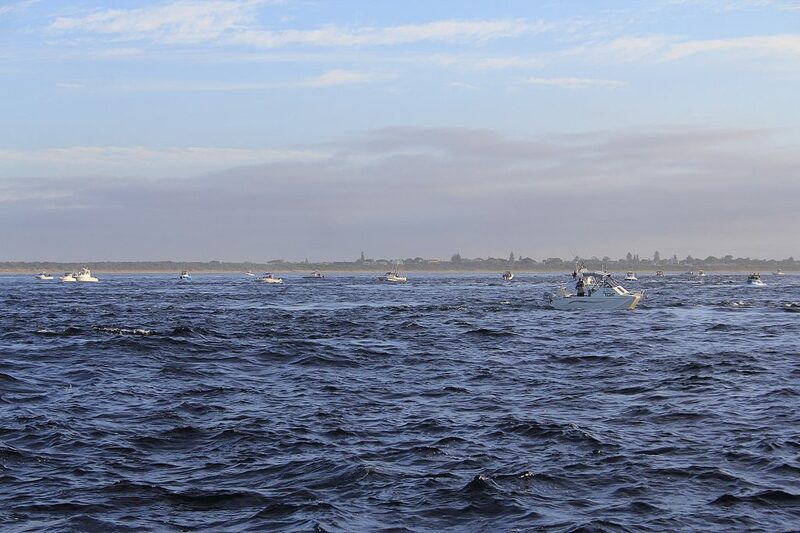 Those targeting kings in the Rip tend to launch from Sorrento, Rye, Rosebud, Queenscliff, Swan Bay and even Mount Martha, although it is quite a run down from here. 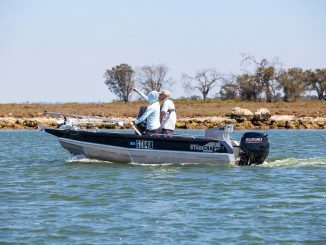 These ramps provide anglers with plenty of opportunities to find live bait along the way. Of course you can stop in over the weed beds anywhere, flick out a jig and snag a few but unless your bait tank is set up right, they don’t tend to stay alive too long. Catching yakkas and slimies also takes a little more work, so you need to set aside a good hour or so before heading to the Rip to gather enough livies. How many is enough do you ask? Well, how long is a ball of string? This question is a hard one to answer purely because of all the things that can happen to them when they are down. 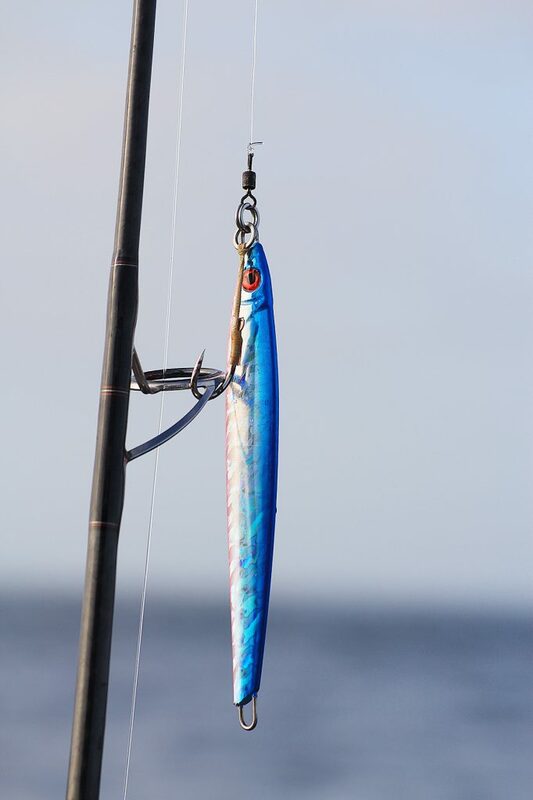 Barracouta, pike, snook and even bluethroat wrasse are happy to devour your livie; then again you could get snagged up on the kelp, which can bust off your rig and dislodge the hook from your live bait. I guess a good rule of thumb is to take a good 30-40 livies with you, but you must have a good live bait tank or two to keep them alive for your session. 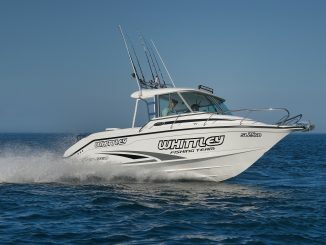 Good locations to catch bait along the Mornington Peninsula are around any of the jetties and or boat moorings. All it takes is a good berley trail to get them going and a jig sent down the trail. Alternative locations include near the South Channel marker, Mount Martha Mussel Farm and around the spoil ground out from Rosebud. Live bait rigs are the least complicated rigs to make. Standard live bait rigs consist of around a metre length of 80lb trace. Whether you use fluorocarbon, soft or hard nylon is up to you. At one end have a good size #1 rolling or crane swivel to prevent line twist and at the other end a size 7/0 live bait hook. While the excitement might set in quick when you’re down at the Rip, taking care with your livies is paramount. Rigging them takes care and while there are good and bad techniques, I like to get the most out of them the quickest way possible. Bridle rigging through the nose can take time and precision piercing while rigging through the shoulders can cause the fish to die quickly, especially when he has to battle the current and a tight line to his back. 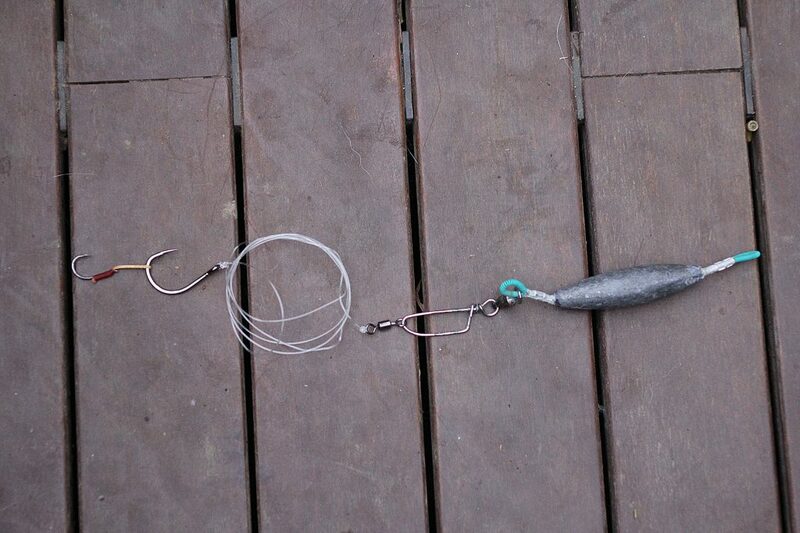 I find it much simpler to attach a size 1/0 jigging assist hook onto the live bait hook. Then you can easily pin the live bait through the nose with the assist leaving the live bait hook just in front of the nose. 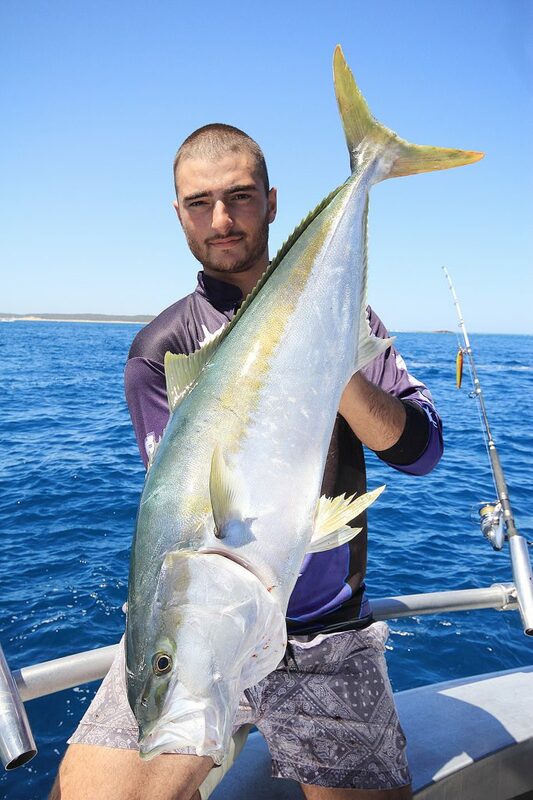 This will maximise the life of the live bait and, when a king drills it, it will hook up on either the assist or the live bait hook. 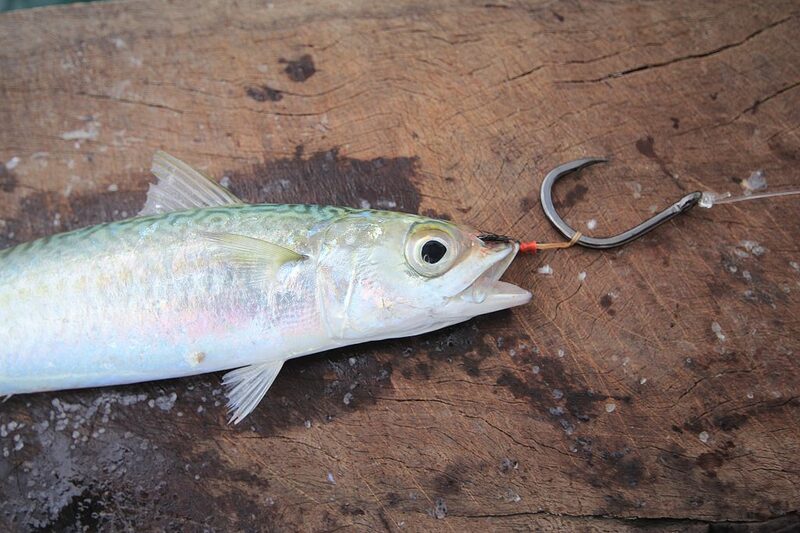 To get your live bait down to the depths you can use a kingfish sinker between the mainline and the live bait rig. This is made up from a size 8 barrel sinker with a section of 200lb leader running through it. On one end use a crimped loop and on the other a crimped loop with a heavy duty snap swivel. While live baiting is very effective, it also pays to have an angler or two jigging. Jigs in the water going up and down quickly while drifting over a patch of fish can really fire them up. This in turn encourages them to take the live bait, which is already skittish, and while all the commotion is going on; other kings will chase the jigs. This technique can have multiple anglers all hooked up at once, which can be mental to say the least. Jigging is quite an intense technique and you really have to be ready to hook up, as it is fast and brutal. Jigging outfits can double as a live baiting setup, which makes them more versatile, but going down the path of a TLD 25 with bait rod limits you to live baiting only. Due to the strength of the current at times, you need heavy jigs; don’t overdo it or your arms will ache after a few drops. 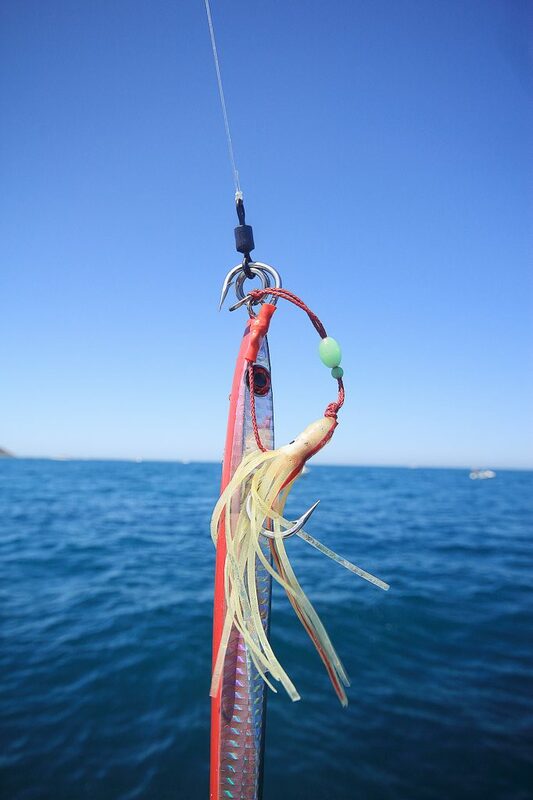 Smaller length jigs in the 20-25cm range in weights of 200-300g are recommended – try to keep them slender in design. Wider leaf-style jigs will only catch the current and flutter away, rather than drop faster and more vertically. Jigs should also be fitted with one single assist hook rather than two and whatever you do don’t attach an assist or treble to the bottom of the jig; this will only cause the jig to snag up on the bottom and you’ll bust off. 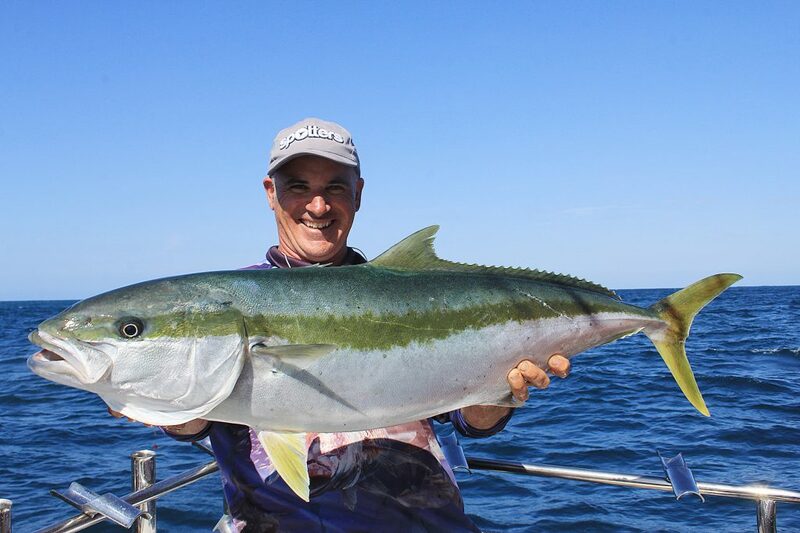 The best thing about our kingfish season is that it runs for so long these days. The fish turn up around December, and the peak time is late February through to the end of March. A few weeks into April you might still get them before they head back off to warmer waters. Jigging the Rip certainly is a lot of fun. Be ready for it, otherwise you could spend a lot of money to get little result.